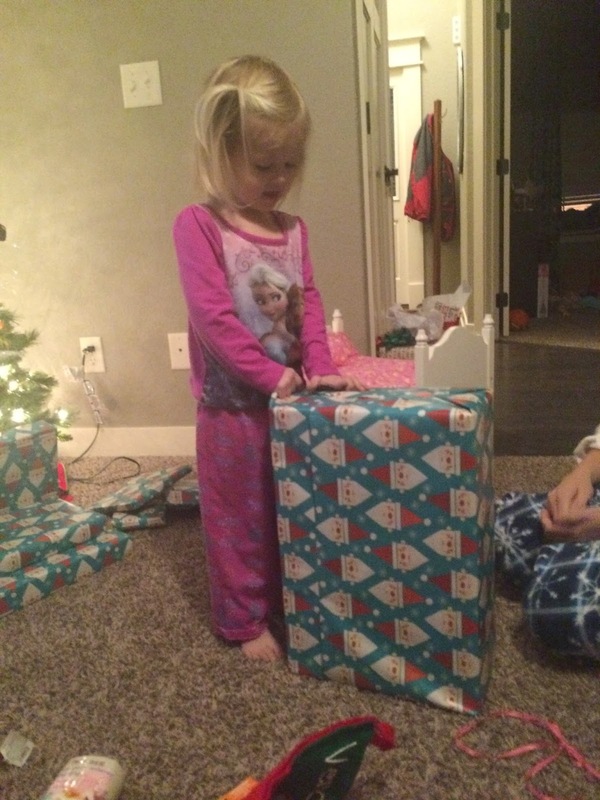 We finished off Christmas Eve unwrapping some of the gifts from family. 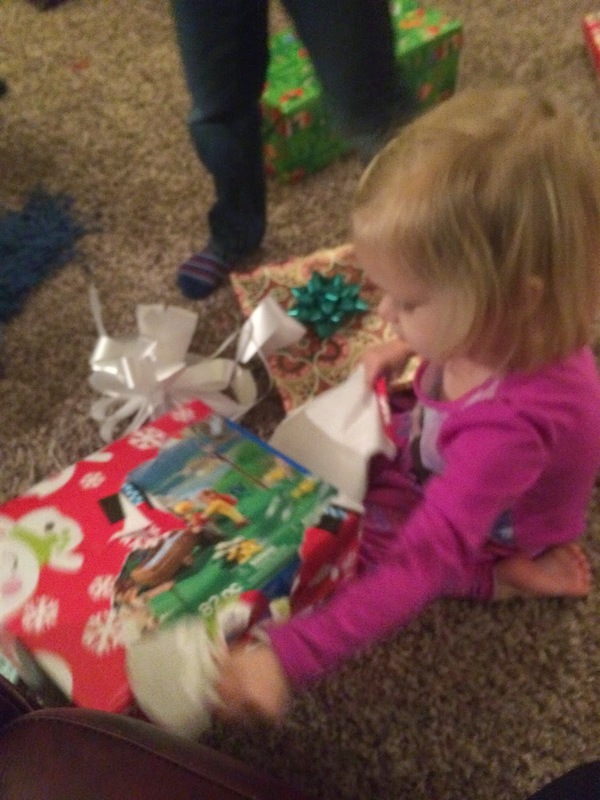 Vera is at the age where every present was SOOOO exciting. It made my heart melt every.single.time. 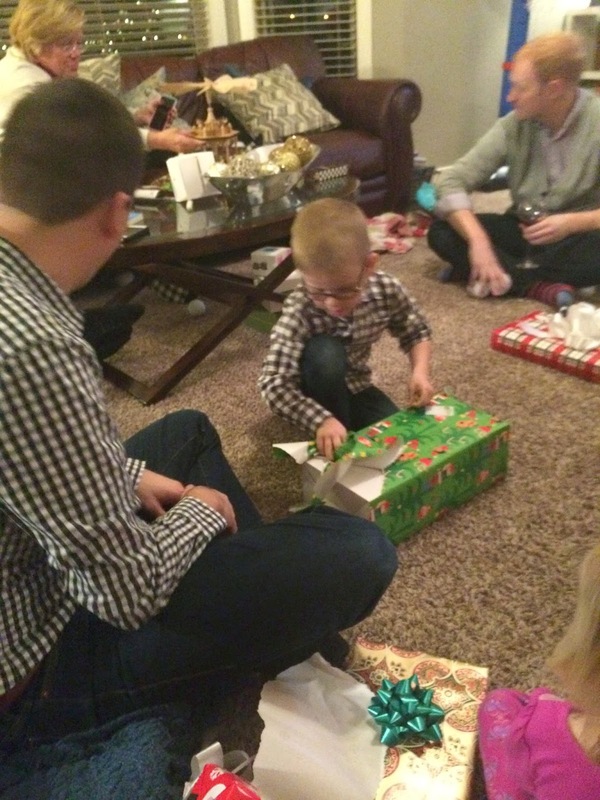 They also wanted to open every.single.one on the spot so it took a while but that is the beauty of Christmas so we would stop and play and then open a few more…it took both Christmas eve and Christmas day to get through them all but each gift was loved and played with immediately! 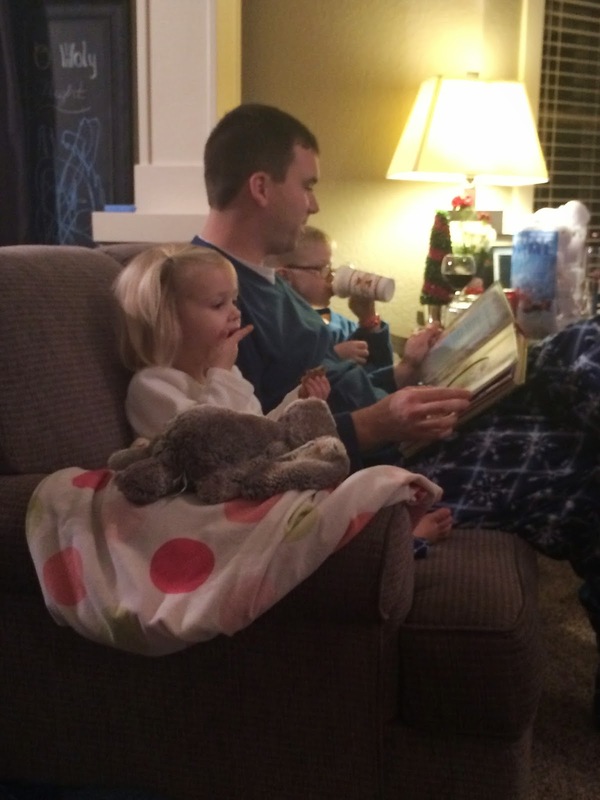 The traditional reading of the Night Before Christmas (you may note Vera has her matching jammies on like everyone else and then we had an accident and well no more matching jammies ;). 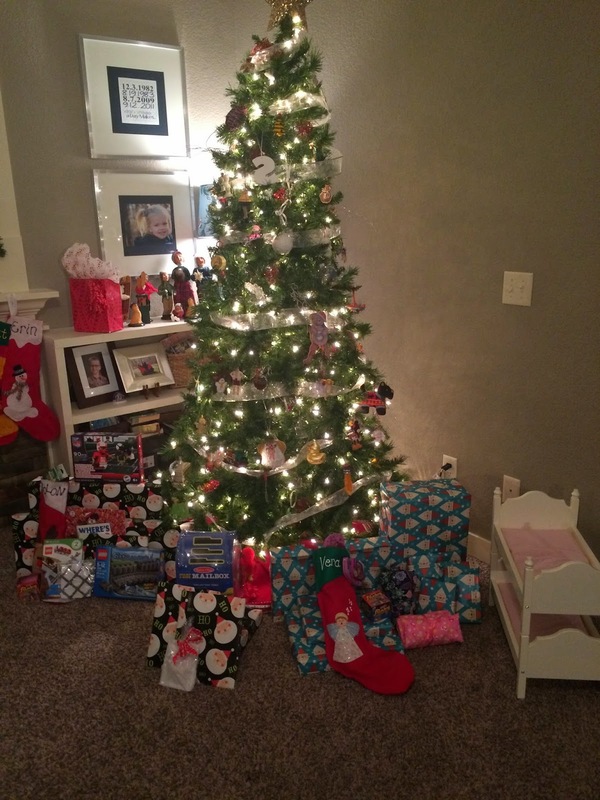 The kiddos got everything they really wanted…Vera’s wish-list this year NEVER wavered. 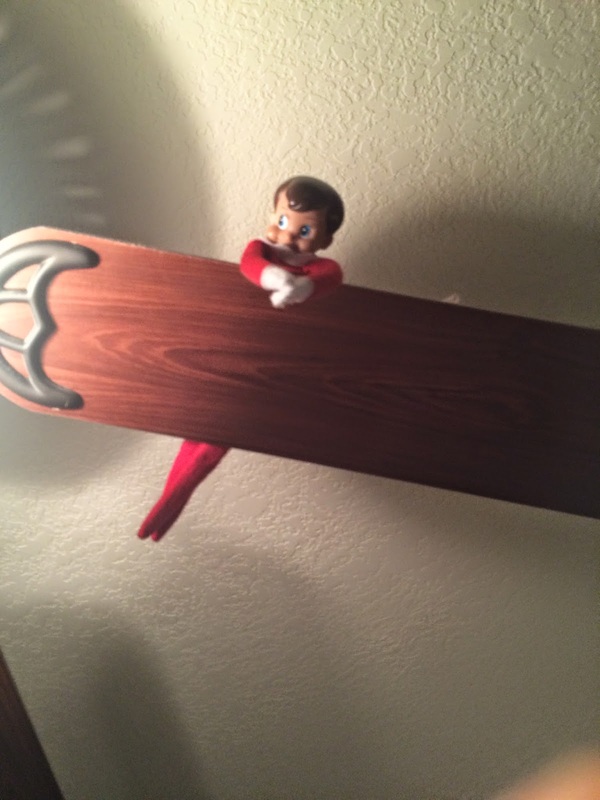 All she really wanted was a set of “baby bunk beds”. She has had that on her list since before her birthday. 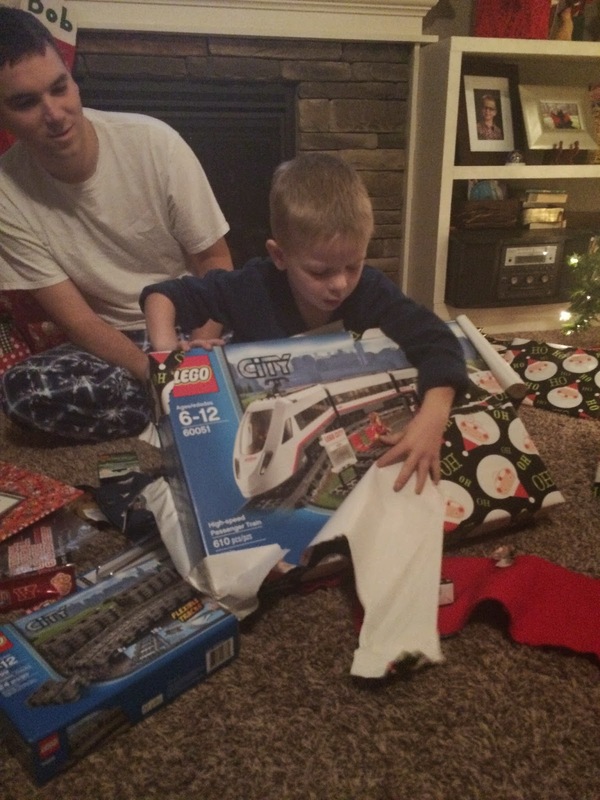 Solon really wanted another lego train. She also got twin baby dolls. She really wanted mommy to have twins but that didn’t happen so we figured a great alternative was to have doll twins…so far they seem much easier! 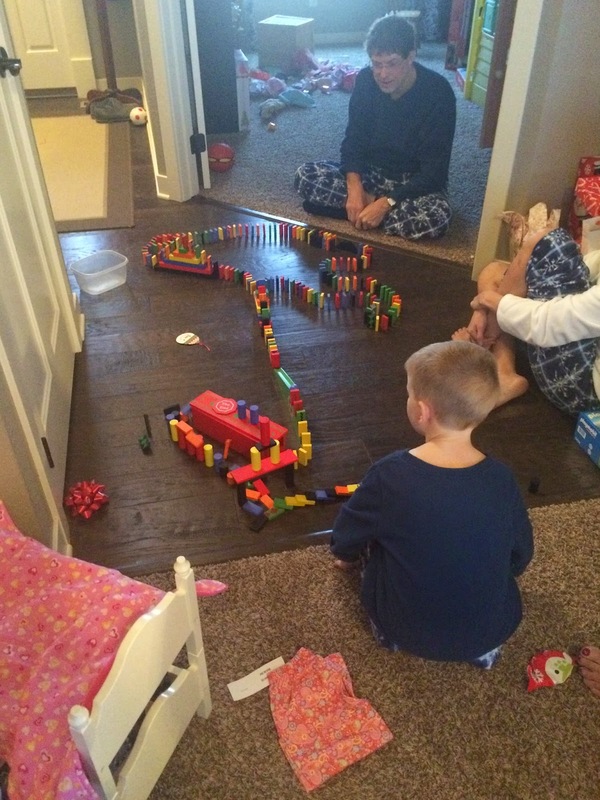 Solon and his coveted lego train and train track extensions…later in the day he was quite the manager as he had everyone help him build! 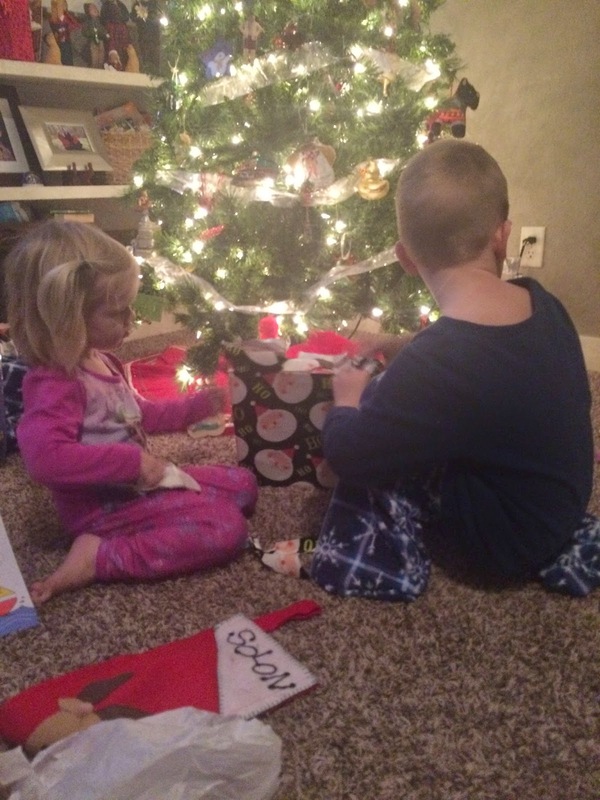 The baby even got a pacifier from Santa and the kids had some family gifts including a game of Twister! After a yummy breakfast of doughnuts, quiche and filled croissants, we got to playing with every.last. toy with some of the biggest kids I know :). 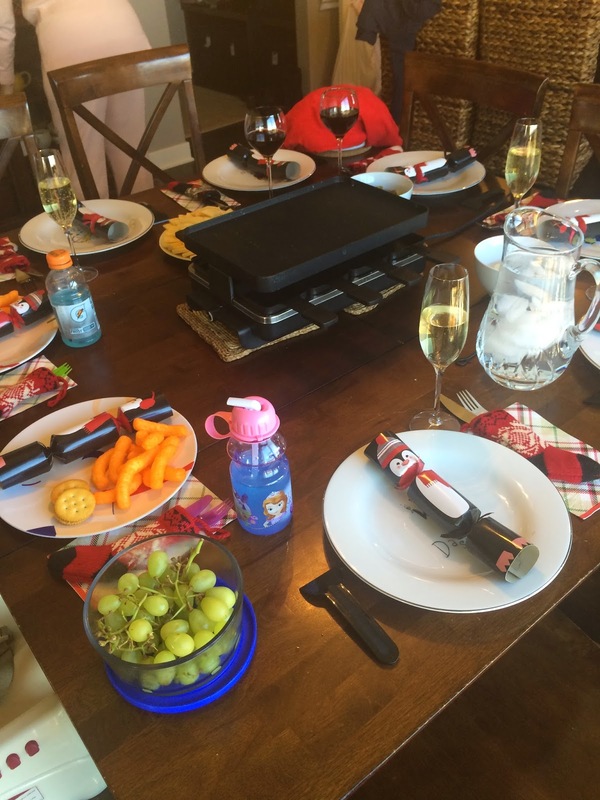 We had our traditional raclette lunch for which we all ate way too much! 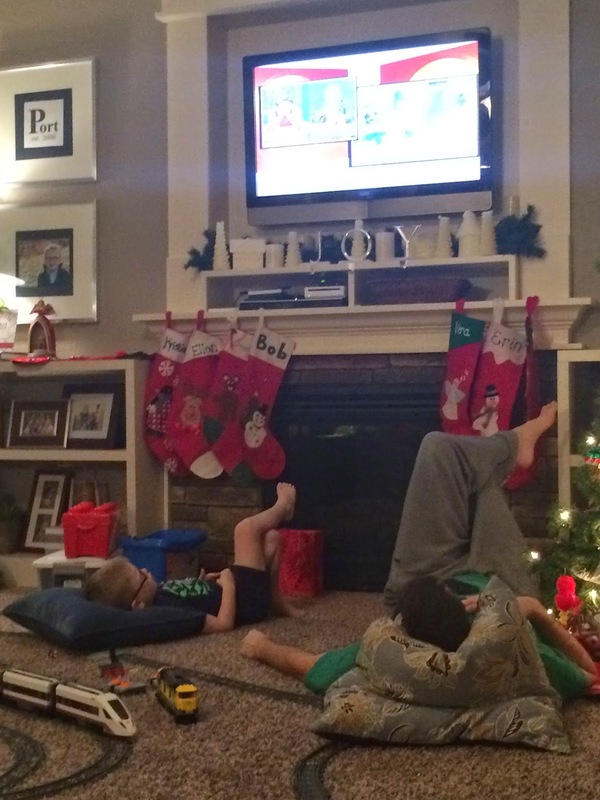 And finished the day with some Christmas movies…and mommy was in bed early as I blew a vein and couldn’t do my IV ;(. Such is life but I am so thankful for such a blessed and memory-filled couple of days surrounded with family in our cozy home. We are so thankful!